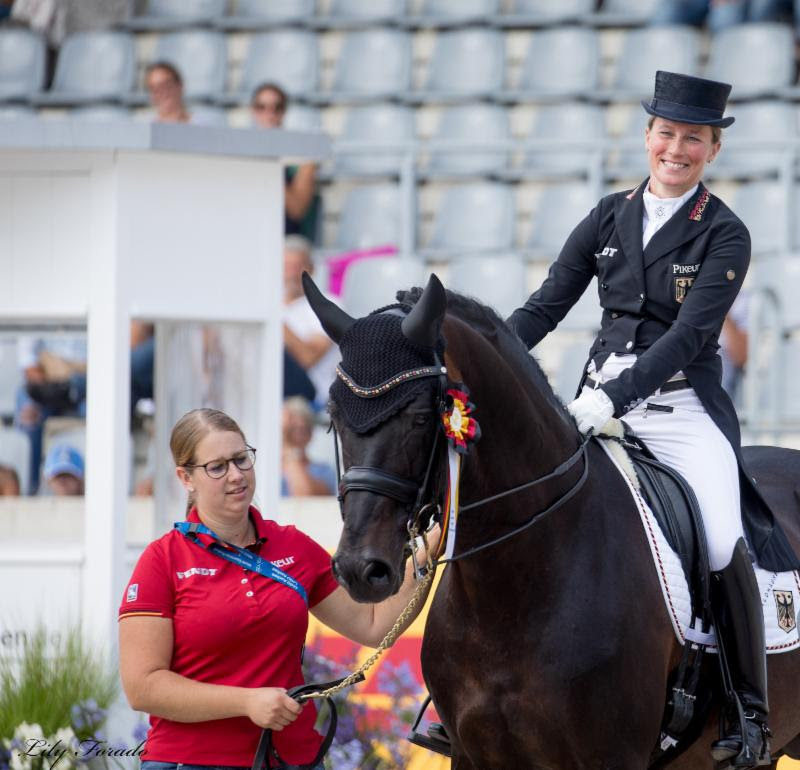 Aachen, Germany - July 20, 2018 - After impressive CDI performances in the fall and winter seasons, Olympian Helen Langehanenberg and Leatherdale Farms' Damsey FRH were stealing the spotlight and moved into the ninth spot on the FEI Dressage World Ranking list. Though Langehanenberg's maternity leave for her second daughter kept the talented pair on the sidelines since their dominating performance at the CDI-W Neumünster five months ago, they reunited to compete at the world-renowned CHIO Aachen World Equestrian Festival. Langehanenberg and Damsey FRH, a 16-year-old Hanoverian stallion, returned better than ever to finish in the third position with a 77.034 percent in the prestigious CDIO5* Grand Prix on July 19.